Thank you so much Ruqs for nominating me! If you haven’t followed this girl then what have you been doing? 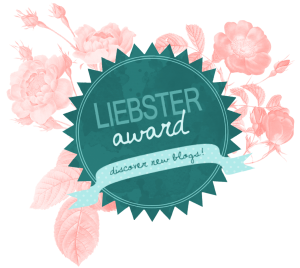 I always find so many interesting books in her blog, maybe you will too! Why did you decide to start a blog? I want to write reviews for books I read and encourage people to read them too and I want to see what people is reading. If you could name one particular experience with blogging that encouraged you to continue it, what would that be? The other bloggers are so nice and welcome, the amount of supports I got from everyone is what encourage me to keep going! What are you known for amongst your family and friends? Nerd! 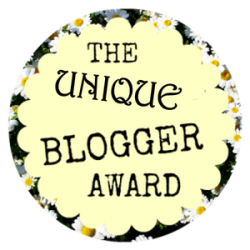 What is your favourite (or one of your favourite) posts you have published on your blog? I love the posts for HP week anniversary, I pour my heart and soul to those post! What book are you currently reading and how are you finding it? The Legend of Greg, I got it from Owlcrate Jr box. What is something you’re looking forward to doing this summer? I don’t have any specific things to do, I’m busy with my work, and when I’m not working I’ll be binge watcching series and read. What is something you like best to do in your free-time? Playing video games, watching series, and of course reading. I could swim perfectly but I’m afraid of the ocean! The thought of drowning scare the bejeeber out of me! I’ve gain 10 kgs in a year and now I’m frustating to find ways to lose my weight! Drama/Family/Comedy is my favorite TV series genre. Modern Family, The Middle, The Goldbergs, Psych, and Monk are my all time favorite! Being married is a scary thought. I want to, but I don’t think I’m ready yet! What is your least favorite genre? What’s one thing you always want to do but never had the chance to? How old are you when you found out that you love to read? Tell me three things that best describe you! Tell me your unpopular opinion, could be about anything! 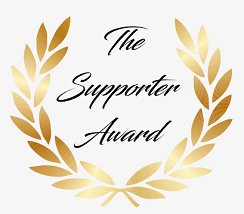 I really appreciate you guys who have been following me, liking, and commenting on my posts and everyone who tag me and nominate me for awards, I really love this supporting community and I’ll never grow without you all! So thank you so much for being awesome! Also thank you for Hamad and Rebecca for nominating me for this award! You guys are the sweetest! 1-What are books that you think everyone should read? Well I would recommend Harry Potter but who in the world haven’t read Harry Potter yet, am I right? So I will recommend my next favorite series which is…. ALL OF RICK RIORDAN BOOKS! Seriously guys if you haven’t read any of his books then you should start with Percy Jackson to get you used to the world and characters, and then I guarantee you’ll be wanting more! 2- Who is your most read author? Umm Rick Riordan? I’ve read maybe 24 of his books, they are my most prized possessions! 3- What is a book that you read but wish you have a physical copy of? Okay, can I answer with Rick Riordan again? Because there are no other authors who could make me squeal whenever they announce their new books! 2-Where do you usually buy books from? From my local bookstore or from Book Depository! 3-What’s the last movie you saw in theaters? The Incredible 2. I might be going to theater again to watch The Darkest Minds and Shazaam, let’s just hope that work won’t get in the way! What’s your very first favorite book? What genre would you write if you were an author? What’s your least favorite genre and why? I received my very first award!! Thank you so much Hamad for nominating me, you’re such a great and supportive friend and I can’t thank you enough for being so kind to me! – Who was your first book crush? My very first book crush is Leo Valdez from Heroes of Olympus series by my all time favorite author Rick Riordan. Leo is such a strong, funny, and intelligent person, I love his personality so much. He will always be my number one book crush! – When did you start reading? – What is the last book that made you cry? The Burning Maze for sure shocked me and made me cry like a baby! That unexpected twist! How dare you Uncle Rick! – How many hours do you read per day? – If you were a book/ movie character, would you be a main or secondary one? Well I haven’t thought about it before. But I guess I’d the side character, simply because I don’t want too many attentions haha. – What book you wish you have never read? Everything Everyting by Nicola Yoon. That book upset me so much! I think it’s unoriginal and the romance is forced. I hoped I could erase that book from my mind forever! I love food!! And I have so many favorites, I love fried noodle, fried rice, grilled ribs! – What is your hidden talent? – What are some of your favorite words? – What do you do when you are not reading? – What was your favorite school subject? I love English and Chemistry! What’s one book you’ll always recommend? What is your biggest bookish pet peeves? What is your latest obsession except books? Who encouraged you to read books for the first time? What is your least favorite genre? And why? What’s your most disappointing book? How many books are in your TBR right now? How did you manage your time to read, work/school, and other activities? What are your biggest fandom? I realy want to nominees all of you because you are all the sunshine of this community but I can’t tag all of you. Here are some friends that I really enjoy talking and fangirling to!